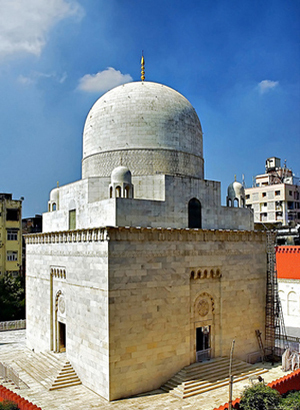 Raudat Tahera is the mausoleum of the celebrated Dr. Syedna Taher Saifuddin (RA), 51st Dai al-Mutlaq and Dr. Sayedna Mohammed Burhanuddin (RA), 52nd Dai al-Mutlaq of the Dawoodi Bohras community. The white-marble Fatemi shrine is located in the midst of Bhendi Bazaar, a crowded area in central Mumbai. 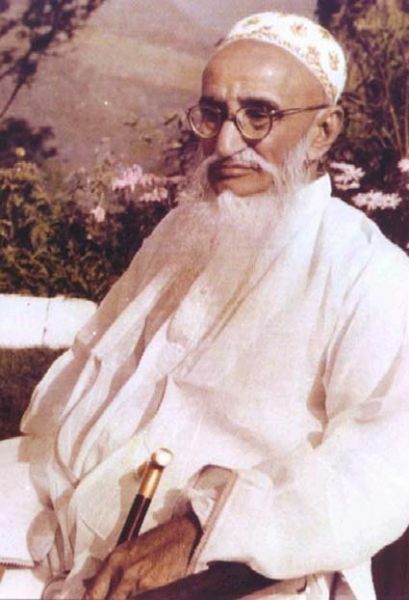 It was constructed by Dr.Syedna Mohammed Burhanuddin (RA), while its architect was the Yahya Mechant, who has also designed the tomb of Jinnah, Founder of Pakistan, located in Karachi. The shrine is visited daily by thousands of Dawoodi Bohras from all over the world. Various heads of state and other foreign dignitaries have visited Raudat Tahera and paid their respects. Many Indian leaders have expressed their pride in India having such a magnificent monument that is unique in several respects and is the only one of its kind in the world. The construction of the Mausoleum began on 10th of December,1968. 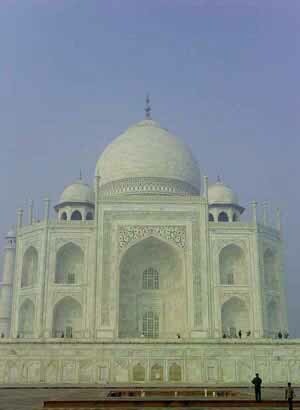 The marble for the construction of the Roza was quarried from exactly where the marble for the Taj Mahal was obtained—Makrana in Rajhastan,India. The Mausoleum rests on 92 piles. The number 92 is significant in that it represents the numerical calculation of the name of the Holy Prophet “PBUH” by the rules of Abjad in Arabic. Around the burial place is 28 square feet grave.The number 28 indicates Syedna’s (RA) young age at which he became a Dai-al-Mutlaq. 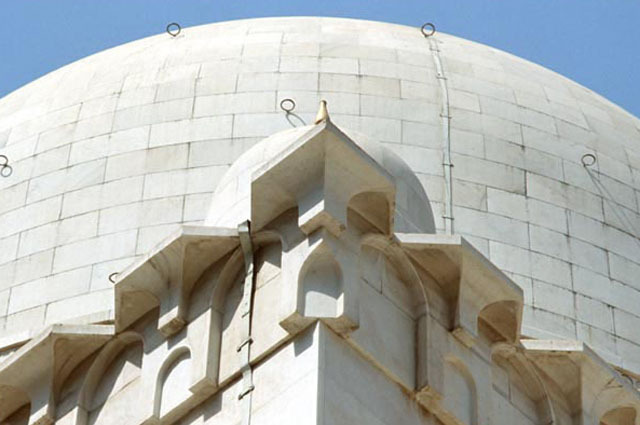 The inner height of the mausoleum rises to 80 feet, depicting the age of Syedna (RA) when he left this world for Mala-e Ala. 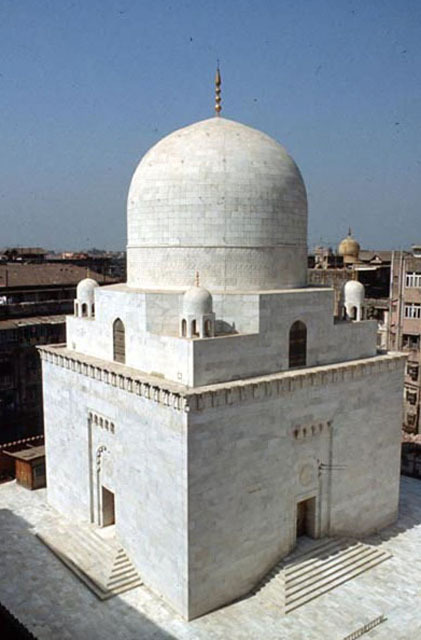 The inner dimensions of the Roza (mausoleum) are 51×51 feet, symbolizing that Syedna Tahir Saifuddin was the 51st Dai-al-Mutlaq in the office of Immam-u-Zaman. 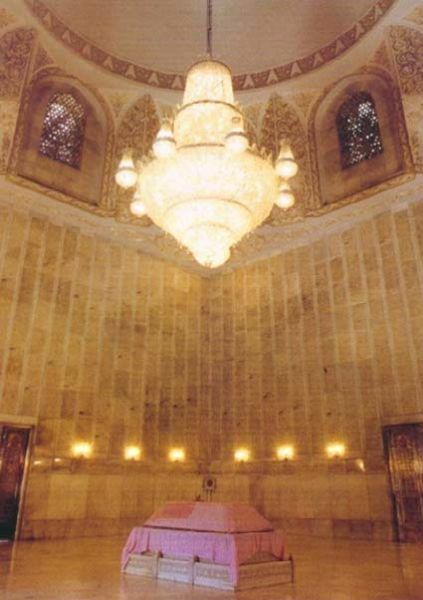 What gives the Roza a unique place of honour is the inscription of the entire Holy Quran within the walls of the Roza.The writings were choosen by Syedna Mohammed Burhanuddin RA from the golden Holy Quran from which Sayedna used to recite. It contained 772 pages and accordingly the complete Quran is inscribed in gold on 772 marble slabs 3×2 feet each and pasted in the inner walls of the Roza. All the Bismillah’s before the start of Surahs have been engraved and adorned with rubies, emaralds, Diamonds and Pearls. 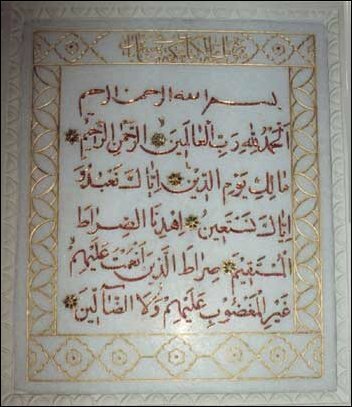 The Holy Quran inscription has been done in such a way that all the Entrance Doors to the Roza have a Bismillah coming. The complete structure of Raudat Tahera weighs 5000 tons. The 4 entrance doors to the Roza have been specially designed to match the entrace gate of Jamea-al-Aqmar in Cairo built in the time of Imam Al-Amir(1101- 1130 A.D) The entrances are adorned with four silver doors of Fatemi style and lead to the inner sanctuary of the Roza. The structural shell consists of a dome 40 feet in diametre. The entrance facing east is called Bab-e Hakimi, so named after his ancestor, Syedi Abdul Qadir Hakimuddin, whose mausoleum is in Burhanpur, Madhya Pradesh, India. The entrance facing south is called Bab-e Zaini, so named after the 45th Da’i al-Mutlaq, Syedna Tayyab Zainuddin RA, his great-grandfather, whose tomb is in Surat. The entrance facing north is called Bab-e Fakhri, so named after his ancestor, Syedi Fakhruddin Shaheed, whose mausoleum is in Galiyakot, Rajasthan, India.